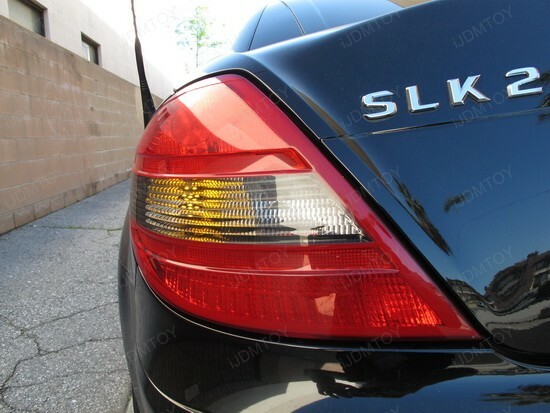 This 2009 Mercedes SLK280 received a host of updates, and the Error Free 1156 LED bulbs fitted in the whole conception in a very stylish and unique way. Without doubt, I thoroughly enjoy looking at this vehicle. The pleasure begins when you notice these slightly dimmed turn signals, while they gracefully emit LED light. Mercedes-Benz’s three-pointed star has long been synonymous with style and prestige, but the owner of the ride really got this one right! 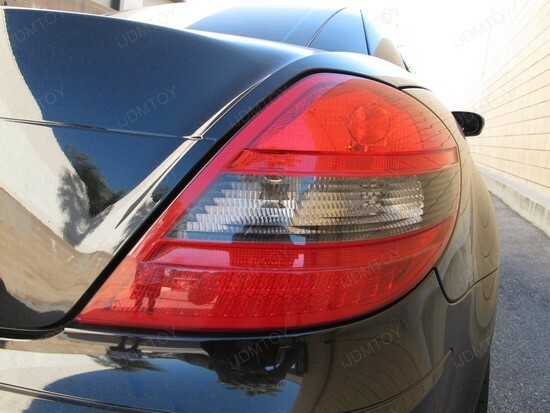 The obvious pluses concerning the Mercedes LED turn signal lights are style, image, appearance and a certain level of customization. You should have these factors in mind when you decide to tune your vehicle to be a real head-turner. 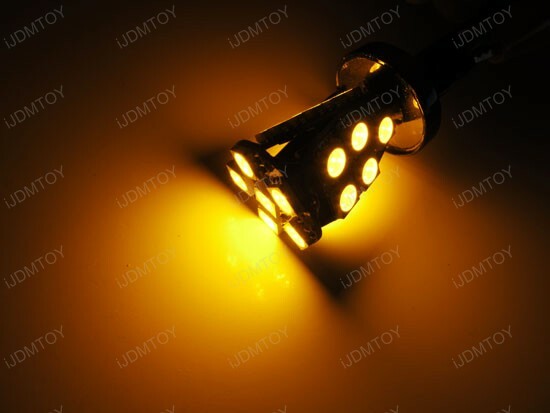 Each LED bulb contains 21 pieces super bright 3-Cell 5050 SMD chips with over 1200 lum lighting output and thanks to the revolutionary new design the “European cars cannot install LED bulbs” problems are gone forever. One of the coolest thing is these Error Free 1156 LED bulbs are completely plug and play. No modification is required and you can install them in less than 10 minutes! 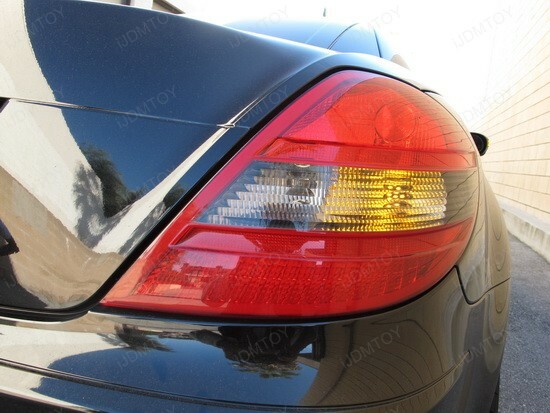 A perfect replacement of all stock 1156/7506 bulbs and some 1157 or 2357 housings for Mercedes W209 CLK or W211 E Class as single fitment bulbs for front turn signal light bulbs. To sum things up, these bright bulbs will fit in most European cars such as Audi, BMW, Mercedes or Porsche and there will be no warning on dashboard nor hyper flash problems. 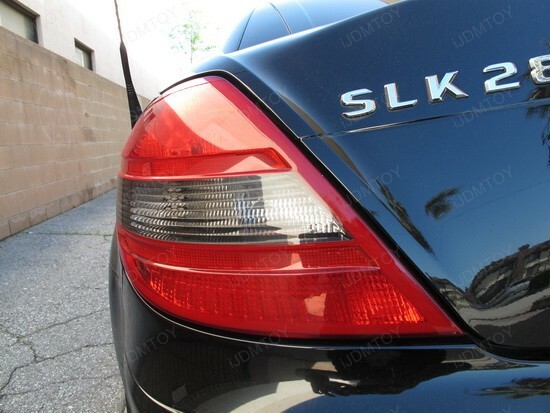 I bet owning that gorgeous black 2009 Mercedes SLK280 with Error Free 1156 LED bulbs is more than awesome. This guy was looking for more stylish look for his ride and got it. You may think this product is a great add-on to any vehicle, and you are right! Treat your beloved car with a newer, luxurious LED look without the luxurious price! Go to the iJDMTOY online shop and look for these Error Free 1156 LED bulbs. 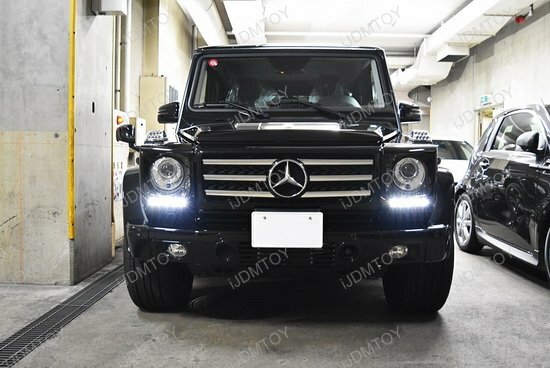 Introducing iJDMTOY’s new products for halo projector headlights, LED tail lights and JDM decals.